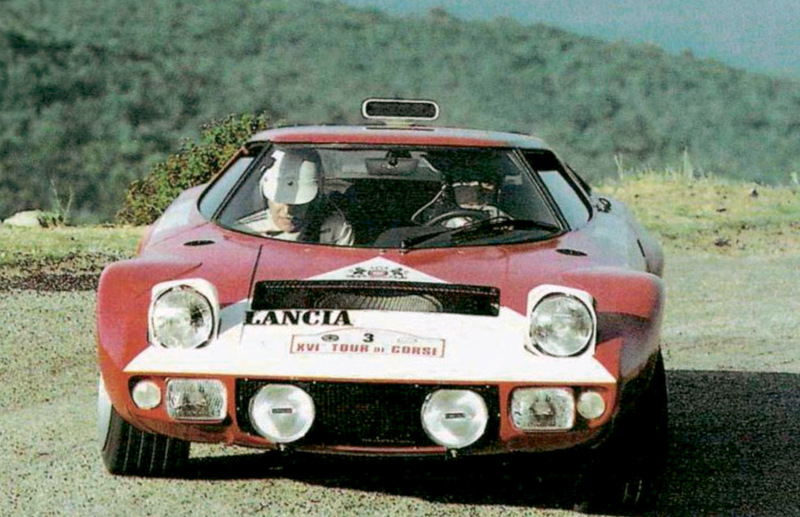 "TALKING ABOUT THE LANCIA STRATOS WILL ALWAYS REMAIN A PLEASURE FOR ME." I dedicated a great deal of my life to this car. I led numerous difficult negotiations in order to bring to life this project , overcoming numerous obstacles along the way. I obtained the agreement of Enzo Ferrari to provide us with the engines that were coming out of Maranello for the first time. I felt some very strong emotions seeing everything we had envisioned finally taking shape before winning these numerous successive World Titles. I have kept intact the unforgettable memories of this era. This extraordinary car gave me such mixed emotions of anxiety, suffering and joy! Everybody who fought by my side to make this project a reality went through the same emotional rollercoaster. The Stratos made its place in the history books of motor-racing in the greatest way possible. It will be remembered because it is a supreme example of what is achievable with perseverance, skill and a lot of courage. Its' avant-garde and modern style allowed the Stratos to confront its competitors with the highest level of success whilst still adhering to the spirit and technical regulations of its time. There were numerous attempts at imitating the Stratos but none have marked their time like it did. At the early stages I knew that I had everything to win, but also everything to lose with this car. I knew that if I had failed with this project, I would have been literally destroyed by the opposition. Fortunately, however, this was not the case. I am certain the Stratos would have been on top of the timing sheets for years more had I not been forced to withdraw it from factory competition. "IT IS WITH GREATEST OF PLEASURES THAT I WRITE THESE FEW WORDS TO TALK TO YOU ABOUT ONE OF THE MOST PRESTIGIOUS RACING CARS EVER PRODUCED BY LANCIA, AND OF WHICH I WAS THE TECHNICAL DIRECTOR BETWEEN 1967 AND 1984." Many stories have been written about the creation of the Stratos and of its' many victories. There are no doubts regarding the victories, but sometimes inaccuracies regarding its genesis. In the following text I will outline the fundamental dates and people who contributed to the creation of this project. Nearly November of 1970 at the Turin motor-show, coachbuilder Bertone presents the Stratos (then called Zero) with the engine of the Lancia Fulvia mounted in a rear-central position. November of 1971, Turin motor-show, the Lancia Stratos HF is presented on Bertone’s stand. Born in collaboration with the sports division of Lancia, it was presented with the centrally mounted engine of the Ferrari Dino. The official press release stated that the final version would be with a different engine. 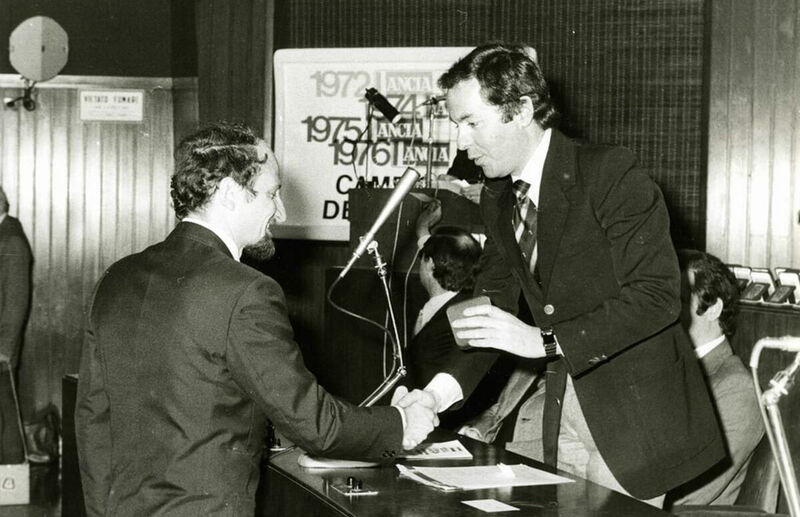 On the 2nd of February 1972 Enzo Ferrari calls Pierugo Gobbato to congratulate him on the victory of the Lancia Fulvia in the Monte Carlo rally and to say that he was willing to provide 500 246 Dino engines for the Stratos. Early March 1972, we begin to encounter some difficulties with Ferrari regarding the production of the Dino engines. End of May 1972, Ferrari provides 10 engines to the racing division of Lancia to evaluate its mounting on the Stratos prototypes. End of August 1972, the racing division of Lancia announces 240hp for the first Stratos engine. Beginning of November 1972, first and early participation at the Tour of Corsica as Lancia were still uncertain regarding the supply of 500 engines from Ferrari. 14th of December 1972, Fiat finally drops its' resistance and Ferrari is able to supply the 500 engines. 8th of April 1973 the Stratos gets its first victory at the Firestone Rally. 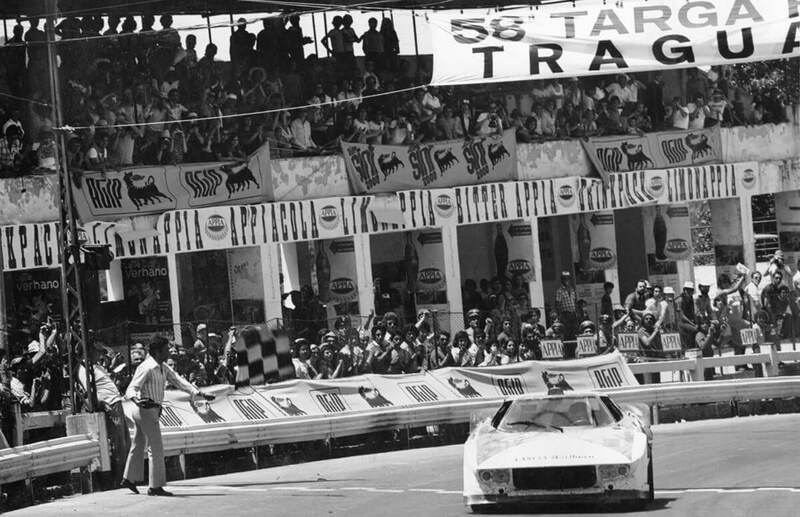 The 15th of May it finishes 2nd at the Targa Florio and on the 23rd of September the Stratos wins the Tour de France Auto – Its first major victory. In 1973 the racing division of Lancia builds the first Stratos engine with 4 valves per cylinder along with the Stratos turbocharged engine. 1st of October 1974 the Stratos is homologated by the FIA in Group 4 division. 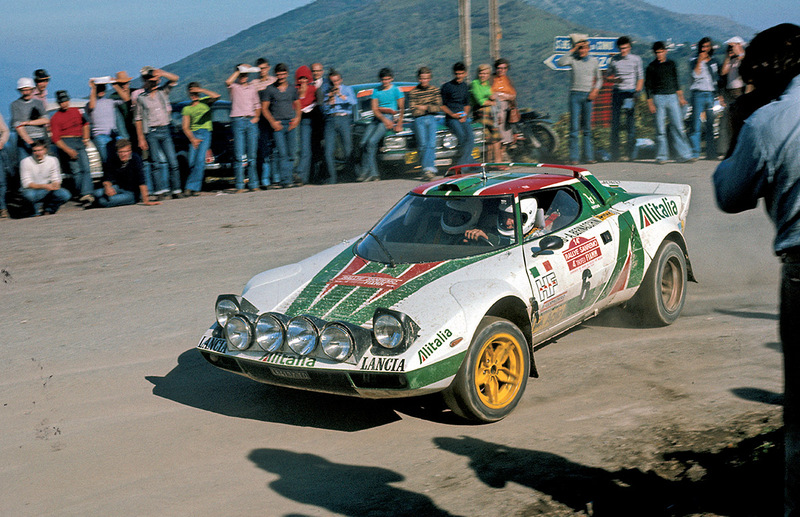 "FEW SPORTS CARS HAVE LEFT SUCH A SIGNIFICANT AND DURABLE IMPRESSION AS THE LANCIA STRATOS." Born from the ingenuity of Nuccio Bertone and the intuition of Cesare Fiorio, the Stratos is the combination of a revolutionary design and an overwhelming soul from its Ferrari engine. Talented men of the likes of Mike Parkes, Gian Paolo Dallara and Sandro Munari allowed the Stratos to dominate a long period of motorsport, especially in rallies! It was an incredible spectacle to see the Stratos excel on the snowy roads of the Monte Carlo, the Swedish rallies, the forest roads of the English RAC and Canadian rally, the Kenyan Savannah, the dirt tracks of San Remo and Acropolis and finally the twisty Corsican roads. Following laborious testing in Corsica and at the request of our sponsors, we entered the Stratos with Munari in the 1972 Tour de Corse. the team was managed by Gian Paolo Dallara with precious help from Pirelli. Unfortunately, however the outing was cut short as we had anticipated. The second outing was in Spain at the Costa del Sol, followed by Lyon-Charbonnières. In each case, however, we suffered issues with the rear uprights which were too weak and were deformed by the power generated by the Ferrari engine. Once the problem was rectified with the use of cast uprights, the Stratos legend began. First in Spain at the Firestone rally of the European championship, then the first big victory in the Tour de France Auto in 1973 with Munari, followed by another victory at the Monte Carlo in 1974 and many more to come – leading the car to be crowned with the world championship in 74, 75 and 76. Following these successful years, the commercial interests of the FIAT group shifted the focus to the FIAT 131, relegating the Stratos to sporadic appearances. It remained competitive however as demonstrated by its successes on the Targa Florio with Ballestrieri-Larrousse, the Giro d’Italia with Facetti- Sodano and then with Alen -Pianta-Kivimaki. The history of the Stratos, or more appropriately, the story of the Stratos, is inextricably tied to the men behind it – the 'authors' – starting from the master Cesare Fiorio, the technicians Mike Parkes, Ginapaolo Dallara, Nicola Materazzi and Giann Tonti. 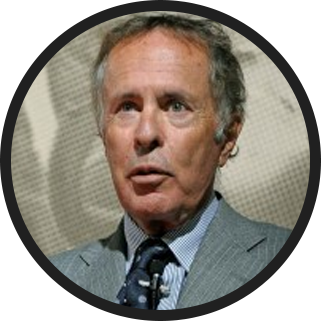 Also, my close collaborator Niki Bianchi, our ‘Muse’ Francesca Fiorio, our great drivers; the Dragon Sandro Munari, Amilcare Ballestieri, Jean- Claude Andruet, Waldegaard, Alen, Pregliasco, Darniche, Lampinen, Larrousse, Bettega, Carello, Tony, Facetti, Pinto et Vudafieri ; aux co-équipers Mannucci, Maiga, Sodano, Bernacchini, Biche, Mahé, Garzoglio, Thorszelius, Mannini et Kivimaki, our talented Lancia Corse mechanics and the many others who helped improve the ‘Rally Beast’; the immense, beautiful and legendary Stratos to whom I address my thoughts, my thanks and gratitude for having shared with me one of the most. "THE FULVIA LEAVES WAY FOR THE STRATOS." On the top floor of the Lancia building, Cesare Fiorio had an interview with Niki Bianchi who was well acquainted with the inherent issues associated with racing, and asked him to start a Lancia customer racing department. From this the customer racing department was created. The aim was to organise and establish an optimized car servicing department for rallying and give technical advice anywhere and at any time whilst reducing the inherent bureaucratic issues associated with racing. Two teams; the Jolly Club from Milan, managed by Roberto Angiolini and the Gifrone team from Genova, managed by Luigi Tabaton, had cars and drivers competing in national and regional championships - often alongside the Lancia works team. Having observed this, I suggested to my boss Cesare Fiorio, that we enrol only these two teams which had to date been limited to the more minor championships and share our technical knowledge in order to make them as competitive as the official cars. We also offered them young promising racing drivers in order to create a talent pool for the works team. The benefit was a lightened schedule for the racing department in their preparation for the World and European Championship and others which were important for the Lancia Market. In 1973 most of customers were still racing with the Fulvia. The works cars were transferred to Jolly Club, Grifone and Tre Gazzelle for customer racing. It was obviously necessary for our cars to be maintained by qualified mechanics; we therefore designated a small number of car preparers who had previously demonstrated their potential to Lancia. Bosato, Facetti, Maglioli, Michelotto and University Motors were therefore brought up to speed with all od the developments and equipped with official spare parts. We succeeded in our objective of beating the Renault Alpine on the various national championships thanks to the strong relationship built between teams, car preparers and the drivers. Based upon this success I created a permanent rally car-servicing department in order to ensure that at any point, anywhere, there was a Lancia answer, often vital to the successful completion of the rally - as expected by the drivers, teams and myself. 2) the warehousemen lacked knowledge - especially with regard to the minor parts. As a result of these issues, Cesare and I decided to establish a warehouse of spare parts reserved solely for racing clients. This was directly linked to the competition department of Lancia and under the responsibility of Mr. Matera - an outstanding manager. Another important decision was to equip a servicing van with spare parts and two mechanics. This support was present on all the important championship rounds, which greatly strengthened relationships with the car preparers. The system developed with great mutual satisfaction, vindicating the decision to implement an ‘open door’ policy and, allowing the car preparers to come to Lancia’s racing department whenever they wished and have nothing hidden from them. The result arrived quickly with a number of privately run cars Stratos were even more competitive than the official cars. The Lancia works team also benefitted from technical innovations initiated by the car preparers. 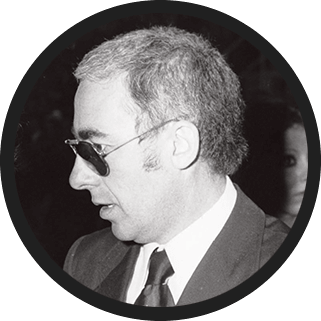 In 1976 Daniele Audetto left to the Scuderia Ferrari and I assumed his position as sporting director of Lancia’s racing division, whilst Giulio Pensi replaced me as director of customer racing. The queen of rallies continued to win everything! Director of the company, he was the man with the initial idea and threw himself into the project. Outstanding creator, designed and constructed the entire body work and all the evolutions. General director of Lancia, gained access to the highest authorities of Fiat with the help of Enzo Ferrari in order to secure the Ferrari Dino Engine. Sporting director of the racing division of Lancia, he was the political and spiritual leader of the project. 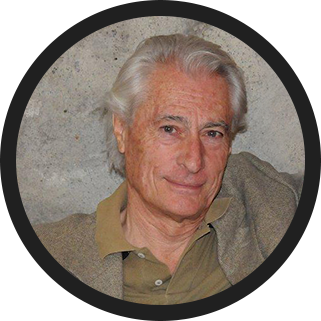 It was he who convinced Gobbato to make the Stratos project a reality. 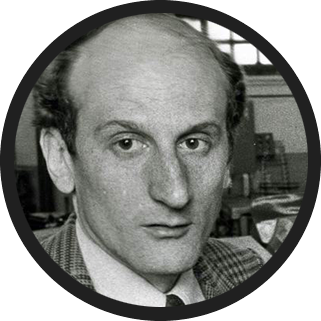 Technical director of the racing division of Lancia, he coordinated all the work between Lancia and Bertone in the initial conception phase and then worked on the development of the prototype. He supervised all engine developments before moving on to managing the entire racing division for the technical development and preparation of all official race cars. Technical director of Lancia who coordinated the various individuals responsible for the production phase of the Stratos. These individuals were: Francesco De Virgilio, Francesco Faleo et Nicola Materazzi. Official test driver who undertook all initial development testing of the Stratos and all of the official race cars. He continued as the engineer for Chardonnet when the official factory team withdrew from competition. Manufacturer of the competition cars from 1972 to 1973, he also collaborated with Tonti for the fine tuning of cars on the road. Ex Ferrari test driver, Mike was the technical manager during competitions from 1974 until mid-1977. Project manager of the technical department of Lancia, he moved from the racing department to lead the Technical division from 1973 to 1977. He was one of the promoters of the Stratos project and is the driver who is the most heavily linked with the Stratos. Of all the illustrious names to sit behind the wheel of a Stratos; it was he who enjoyed the highest level of success with the car.